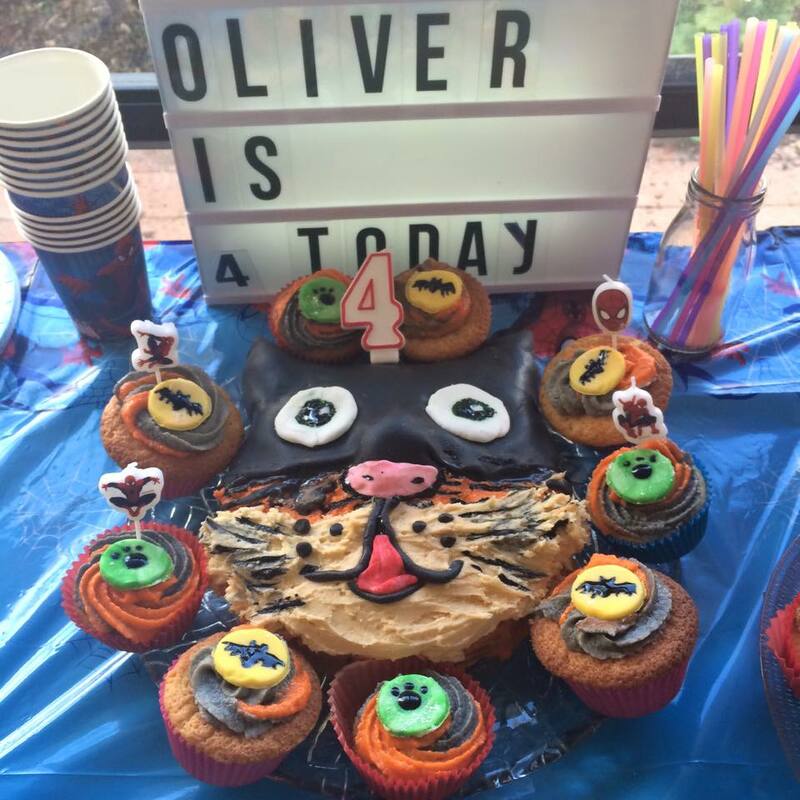 Oliver’s super fourth birthday party! 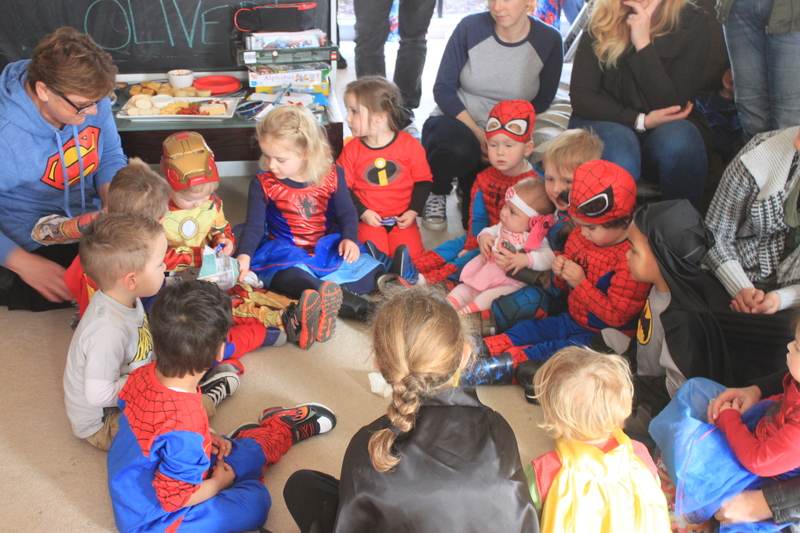 Originally, I was going to write a post titled ‘How to plan a super fourth birthday party‘, but after the birthday celebrations I only have one piece of advice; don’t plan a thing! The attempt at a group shot, didn’t go so well! Now I am not saying to cancel the party. 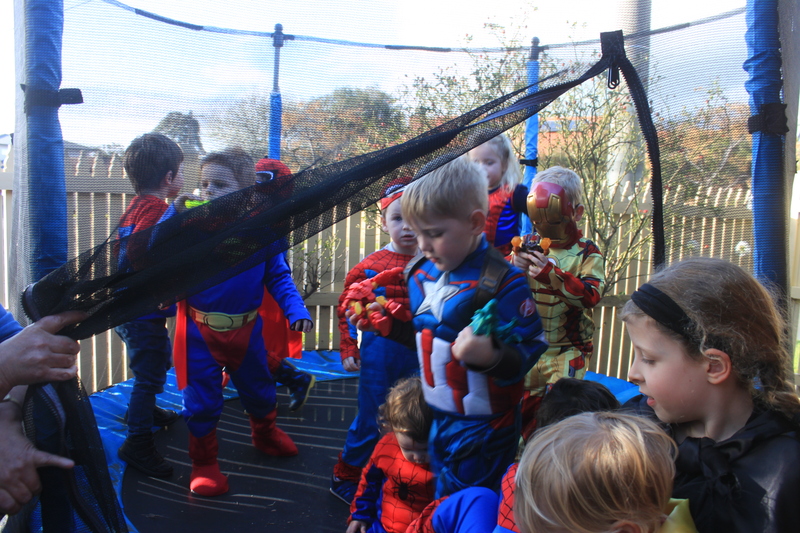 In fact, Oliver’s party was a huge success and everyone had a great time. It was not only a great chance to get Oliver’s friends from childcare over, it was the perfect opportunity to meet all their parents. What I am saying, is just set up some toys and let the kids go wild! We spent a lot of time and money on activities that are still in their box because the kids were far too busy to play pin-the-tail on the donkey or twister. We did work a little bit of magic and get them to sit down together and play pass-the-parcel, but a lot of the kids went unwrap crazy (and who can blame them) which meant other kids missed out on unwrapping. They did seem to really enjoy this activity though, so would definitely recommend this game. Now, before I get into some party planning tips, I really have to share with you the amazing cake that Oliver’s Grandma and Auntie made for him. Oliver, being the quirky kid he is, requested a tiger batman cake. Amazingly, they actually pulled it off and Oliver was very impressed! A craft corner- this was a great way to get the quieter kids together to play together, particularly because there was a lot of rough and tumble happening inside. Toys, and lots of them- Oliver has a lot of toys, and this really came in handy. We set no limits on what toys the kids played with and they all had a great time playing. The toys were also inside, and close to the couch so the parents could sit and relax whilst keeping an eye on their kids. A cheese platter- not only delicious, it was a great way to get all the parents to sit, relax and chat whilst their kids played. Cup cakes- The second Oliver blew out his candles, the kids pounced for the cake. Luckily they could each grab a cupcake and be on their merry way. An end time- Oliver’s party ran from 2-4PM. And by 4.05PM our house was kid free, and we were exhausted! Too many activities- seriously four year olds are more interested in playing with each other and each others toys than playing activities. We had planned about 6 activities but only pulled off one successfully. We did start a game of pin-the-tail on the donkey but it very quickly became apparent that it was a little bit much for four year olds. Attempting a group shot- I realllllllly wanted a group photo of Oliver’s friends. And we tried, boy did we try, but they were just too excited and too full of sugar. So in the end I just interrupted their games for a series of awkward photos. I honestly would not recommend even trying this one. Oliver had the best super fourth birthday a boy could ask four. It doesn’t matter what we planned or didn’t plan, we kept it positive and just let the kids be kids! And what a great group of kids they are. What did you plan for your child’s birthday? And did it go to plan? This entry was posted in balance, Out.